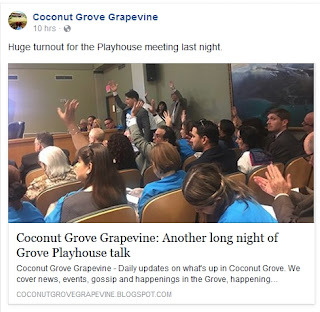 "the revert clause on the deed says the playhouse can only be used to produce plays.."
Basically, there is a core contingent in the Grove that do not want to see new shops or restaurants or apartments on that site, no matter how reasonable the proposal. The idea that the front section of the building should house shops actually goes back to when it was constructed, but this contingent only remembers that later history, when those spaces were vacant. 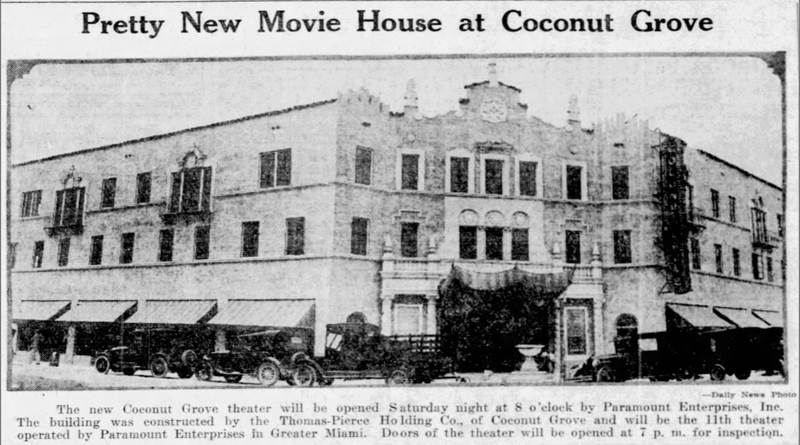 The Miami Times, January 1, 1927. All the awnings denote shops and restaurants. Of course, those shops were vacant because that part of the building was condemned, but no one dwells on that. They think it was all and rehearsal space and actor housing and fabrication (and in fact, the Playhouse did rehearse in the condemned part of the structure from time to time). They are resolved that they don't want a developer to get their mitts on the site and turn it back into what it was: a mixed-use facility built around entertainment (movies in the 1920s, and then live theater starting in the mid 1950s. For this group, any proposal that isn't "theatre only - and nothing else" is going to be rejected. They rejected the idea when Jose Ferrer suggested it, they rejected the idea when Arnold Mittelman pursued it, and they reject it now. That's not to say that their claims about the reverter clause do not have merit. There is such a clause, and it does say that the site is to be used for the perfomring arts. But that does not mean that there should not be a discussion over the merits of the reverter clause itself. After all, that site has NEVER supported a performing arts facility based on just its own revenue, EVER. The proposal is about finding ways to make performing arts there an economically sound proposal. 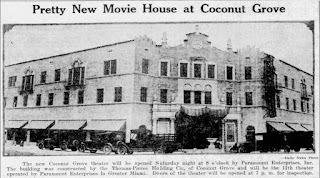 Originally, the shops in front provided operating revenue for the playhouse. Then the parking lot and the rental of an adjacent building provided revenue.